Looking to make your event stand out from competitors? Employing these five trends shared by EventMB will turn attending your event from a maybe to a must. Get event staff, exhibitors, and attendees streaming live from sessions, breakouts and the exhibition floor. Contests and bonuses mean that even the shyest wallflower will want to ‘go live’ and help increase word of mouth marketing and reach. Got data? 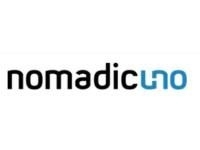 A comprehensive solution like Nomadic Uno means you can use data as a way to predict interests, shape offerings, streamline registration and sell more tickets. Attendees and potential attendees create their own unique experience with messaging based on their past actions, and shape their own personalized agenda, networking and suggestions. For attendees looking to recharge, sensory lounges, yoga and meditation sessions can take them from stressed to serene without leaving the exhibition floor. The days of the presenter being at the front and the audience languishing in the seats are long gone. Informal discourse between ‘presenter’ and ‘audience’ fosters a feel of equality and creates a unique learning opportunity that holds their attention longer and enables them to address what is topmost on their minds.